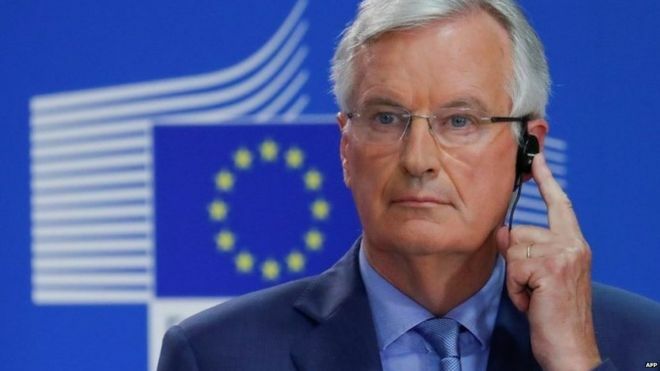 Michel Barnier has said a Brexit deal is possible within six to eight weeks. The EU's chief negotiator said if both sides are "realistic" there could be an agreement on the terms of the UK's exit by early November. His comments come amid unconfirmed reports a one-off summit of EU leaders could be convened in the middle of November to sign off the agreement. The BBC's Katya Adler said Mr Barnier's tone may have changed but the substance of his arguments was still the same. While the EU was not about to compromise its Brexit principles, our Europe editor said the bloc was aware of Mrs May's domestic political troubles and "planned to throw her as much of a lifeline as possible". Mrs May has been warned she faces a mass Tory rebellion if she persists with her Chequers plan for future relations with the EU, with former Brexit minister Steve Baker claiming as many as 80 Tories could oppose it in a Commons vote later this year.